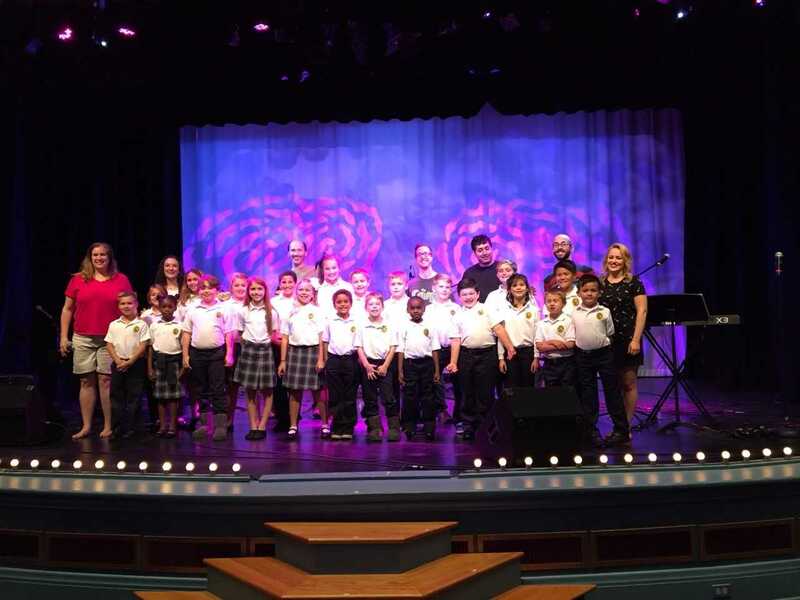 On Saturday, November 11th, the OLF Children’s Choir was honored to be chosen to sing with the Carpenter’s Tribute Band, “Close to You” at the Mary C. O’Keefe Cultural Center in Ocean Springs, MS. The band is based out of Chicago and tours nationally singing the music of The Carpenters. 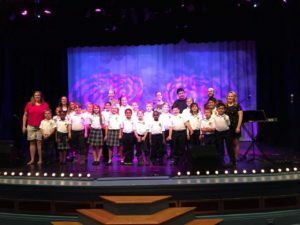 Our Lady of Fatima choir was invited to sing with them on the song “Sing.” “The band was extremely gracious and complimentary of the students, and allowed them to sit through the entire sound check prior to the concert”, said Jacqueline Coale, Sacred Music Teacher. “It was a great learning experience for our students and they performed exceptionally”!